If you need additional clarification, please contact us to discuss your specific requirement. What is the difference between Catheter Tubing and Reinforced Tubing? The main difference is in the application. Catheter Tubing is generally used for devices intended for use in the venous system or for subcutaneous in-dwelling devices. Reinforced Tubing is frequently used for support devices that provide access or a delivery conduit for another device. What is the Fr in tubing sizes? Fr stands for ‘French Size’. It is a world wide standard for medical tubing outside diameter. Developed by a French physician in the 1800’s, it is a measurement of tubing circumference. The theory being that non-round tubes of the same circumference will fit into the same incision in the skin or vessel. One French is approximately 1/3 of a millimeter .013 inch. What is the distinction between a temporary and permanent human implant application? A temporary implant is placed in the human body for 29 days or less; permanent implants are placed in the human body for longer than 29 days. What are the advantages of using spiral reinforcement? Advantages may include a reduced tube wall thickness, increased flexibility, and improved crush resistance. What is the advantage of using braid reinforcement? Improved torque response, stretch resistance, and increased ability for the tube to withstand high pressure. How do I make my tubing more flexible? 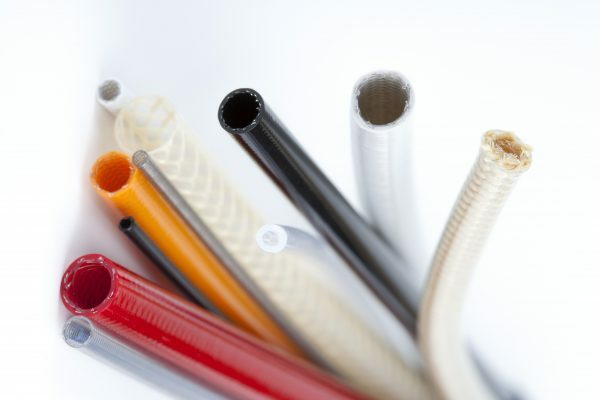 The extrudate materials along with the braid characteristics determine the flexibility of the tube. The reinforcing braid can be replaced with a spiral reinforcement which will also contribute to the tube’s flexibility while maintaining kink and crush resistance. What is pick rate and can it be varied along the length of a tube? What is the advantage of doing so? Pick rate refers to how many linear braid crossovers there are along a linear length of braid reinforced tubing. The characteristics of the tube can be changed by varying the pick rate. By increasing the pick rate, a tube section can be made more flexible, more kink-resistant and better able to withstand crush forces. By reducing the pick rate, the tube section is made less flexible and more resistant to elongation. What is flat wire braiding and what are the advantages? Flat wire braiding is simply braiding with flattened wire and is popular for most thin walled tubing. 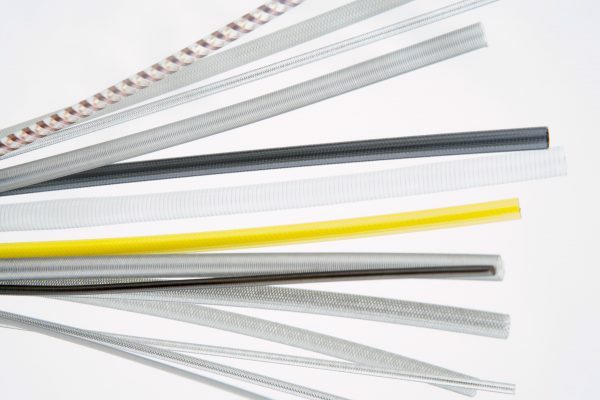 Using flat wire allows for similar performance of round wire but thinner walls to meet tight dimensional requirements. We can braid with a wide array of materials. We can braid with a wide array of material which consist of; stainless steel, resistance wire, silver plated copper, and monofilaments. Hoop strength is a physical property that describes the ability of a tube to withstand internal pressure, bending and crushing forces. Reinforcement by braiding and or spiral wrap will increase hoop strength. What is the benefit of a liner? A liner is used when it is advantageous for the ID of the tube to have a low coefficient of friction. A tube with a liner will allow devices to advance through a lined tube more easily. Typically we use FEP, PFA, High Density Polyethylene or PTFE, however since all our products are custom we are happy to investigate other options. What does centerless grinding do? Centerless grinding removes material from the outside surface of a tube to create a consistently smooth surface. Intravenous catheters benefit from smooth surfaces reducing the possibility of blood clots forming on the tube while in use. What are linear members used for? Linear members are used primarily to increase tensile strength and/or minimize a tube’s tendency to stretch when subjected to axial pull force. Often the addition of linear members will reduce the overall flexibility of a tube. Will New England Tubing incorporate customer-supplied materials in tubing products? We will special order raw materials for your specific requirements or work with your supplied materials. Typically, excess customer supplied materials are returned to you upon completion of the manufacturing run. Please contact us to discuss your specific requirements. Can New England Tubing embed conductors into the wall of custom tubing? Yes, this is referred to as a “hybrid” tube configuration, which we call eTubing™. We can embed insulated or uninsulated conductors for power and/or signal into the wall in a linear, spiral, or even braided configuration. 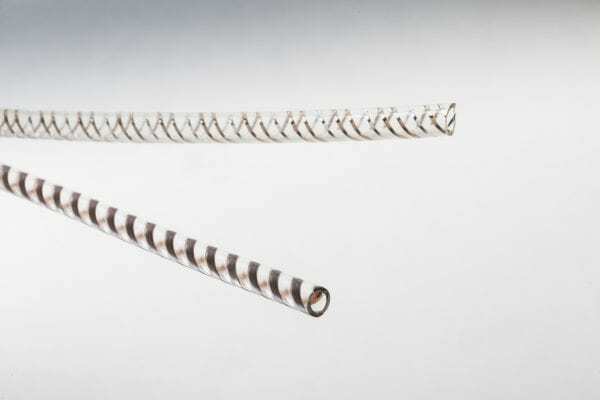 As an example, we have spiraled resistance wires in a wall that heat fluid passing through the tube. Additionally, we can offer many custom configurations to meet your design constraints. Does New England Tubing have manufacturer’s representatives that can be on-site to discuss my custom application? Who is my local manufacturer’s representative? Yes! New England Tubing has a network of Regional Sales Managers based in New Hampshire that will be happy to visit your facility and, of course, you are always welcome to visit ours, however we also have a large network of manufacturer’s representatives around the world to assist you. Find one in your area.